Drug Exams and OVWI Investigations: What are Your Rights? In a recent Indiana Court of Appeals case, the Court weighed the question of whether a person must be advised of their right to counsel before they can validly consent to a Drug Recognition Exam (DRE). This blog will discuss that decision and what it means for OVWI investigations. In Dycus vs State of Indiana, 49A05-1705-CR-978, 2017 WL 6626640 (Ind. App. Dec. 29, 2017), the Defendant was convicted of Operating While Intoxicated and sentenced to 365 days, after which she appealed the conviction to the Indiana Court of Appeals. At trial, the facts showed that the defendant had been stopped at a red light, partly out of her car, and yelling at her ex-boyfriend who was in front of her in another vehicle. When Officers arrived (at the call of the ex-boyfriend’s passenger), they smelled the odor of marijuana coming from the defendant’s breath. She admitted to smoking marijuana about an hour prior to this incident with her mother. A field sobriety test was conducted and came back inconclusive. The defendant consented to a certified breath test that returned negative for the presence of alcohol. While the officer was conducting the test, he observed “a green streak going down her tongue.” (Tr. p. 130). The defendant was then asked to submit to a Drug Recognition Exam (DRE) to determine if she was impaired by the use of drugs. The officer took the defendant’s temperature with an oral thermometer, measured her blood pressure, examined her arms, illuminated her nasal cavities with a flashlight to look inside, ordered her to open her mouth and examined the inside, measured her pupil size in three different lighting conditions and conducted some parts of the DRE in a pitch-black closet at the police station. At the end of the tests, the officer concluded that the defendant was under the influence of marijuana. The defendant then consented to a blood draw that came back positive for THC. The trial court found the defendant guilty as charged, but she appealed the conviction, arguing that the DRE results from the OVWI investigation should not have been admitted at trial because she was not given a Pirtle advisement before the 30-minute test was performed. She maintained that she was entitled to be advised of her right to speak with an attorney before submitting to the test. The State responded by saying the DRE was not over intrusive because it can only reveal the presence of drugs, not any other personal information about the subject. What is a Pirtle advisement? Pirtle is a legal doctrine that establishes no one in custody can consent to an unlimited search without first being advised that they have the right to consult an attorney before consenting to the search. 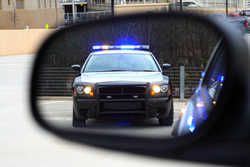 In Dycus, the Court of Appeals differentiated between standard field sobriety tests and standard chemical tests versus drug recognition exams. The Court has previously determined that officers are not required to advise a person of their right to counsel before conducting standard field tests or chemical tests because those tests are limited in scope. As such, Pirtle warnings are not required in those cases. However, in the instant case, the Court found that because the Drug Recognition Exam was more invasive, the magnitude and totality of the specific search required that the person be advised of their right to consult with an attorney before consenting to the search. The Court, in its opinion in Dycus, did not rule that officers can no longer perform a DRE in OVWI investigations. It did, however, rule that the officer must advise the subject of the exam that they have the right to consult an attorney before consenting to the search. Because the DRE is so invasive, the person being searched can discuss the exam, what might be found during the exam, and how those results may be used against them. After this consultation, they will then be able to make a more informed decision. Chambers Law Office represents clients in all manner of OVWI cases in Indianapolis and throughout central Indiana, including those involving Drug Recognition Exams and allegations involving driving under the influence of marijuana or other narcotics. If you have questions regarding drug exams or an operating while intoxicated charge, contact Chambers Law Office today!